Blue & White Ball - Panthers 2016 Major Fundraiser! Home > Blog > Blue & White Ball - Panthers 2016 Major Fundraiser! 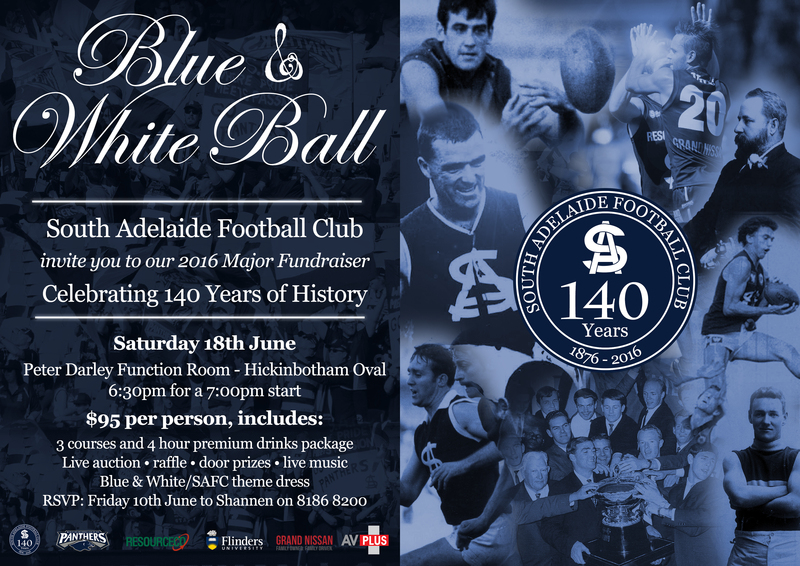 South Adelaide Football Club is excited to announce the "Blue & White Ball" as their major fundraiser for 2016. The Panthers annual Gala event will take on a "Blue & White" theme as the Club celebrates 140 years of history. 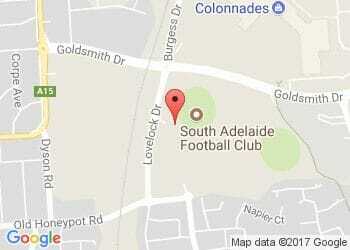 From South Adelaide founder Charles Cameron Kingston to Club legends like Jim Deane and Neil Kerley to modern day superstars such as Mark Naley and Joel Cross, South Adelaide boasts a rich football history and tradition that stems from the Club's establishment in 1876. The Blue & White Ball not only celebrates that history, but also exists to help the Club continue to write history as the Panthers' major fundraising event for 2016. All money raised will go towards the continued improvement of our junior and senior football programs. So please join us for an evening of entertainment, socialising and fundraising on our night of nights. Let's celebrate our 140th jubilee year and support the Club we love! Includes: 3 courses, 4 hour premium drinks package, live auction, raffle, door prizes, live music and more! Theme: Blue & White/Panthers - don the famous blue and white and help us celebrate 140 years of history!